1 more practice before it’s time for an actual game. Starters won’t go long but what are you guys looking for Thursday night? Im excited to see the defense. Rodgers provides a good test out the gate. There won’t be any game planning so I want to see how the DBs do against Rodgers. Jimmy Graham is on GB now so I want to see how we cover him since we typically struggle with TE’s. As far as depth guys go and bottom of the roster guys go I want to see the Fluellen/Wadley Battle. I hope Wadley puts a show on because I’m just not that big on Flu Season. I hope Burnett is able to get some run with Mariota and Gabbert. Davis and Matthews will both be out id imagine so hoping Burnett can start to make a push to make this team. Other battles I am keeping an eye on the D-Line depth battle there’s a few guys in there having good camps so let’s see if it carries over to games. Rodgers hasn't played in the first pre-season game since 2015. Has it been said he's playing in this one? If not I wouldn't expect him to. Oh I had no idea that was the case. Well maybe Byard can pick off Kizer a few times then ? So the Titans biggest test probably won’t come until Pittsburgh then. Titans and Bucs will be practicing together so I don’t know how much to take from that game. Evans and Jackson are legit no doubt but who knows which Winston shows up or who is even going to be starting that game because Winston is suspended. Bakhtiari and Bulaga have all but been confirmed to be out. I can't imagine a scenario in which he plays with two backup tackles. First GDT of the 2018-19 season is finally here ? football is in the air! Why not he needs to get use to playing with them Incase those backups have to play in the regular season ? I honestly havnt followed what’s going on in GB. I almost wrote in my opening post that Nelson Adams and Cobb should be good tests for us but forgot Nelson isn’t there anymore. Over under on how long it takes for someone to freak out over a bad play in Thursdays game? I’m going over under winning or losing the coin toss ? The freak out I saw from some Titans fans over Logan Ryan getting beat in the first pre-season game last year was great. Knowing how our GDT’s typically go, there will definitely be a freak out over something lol. 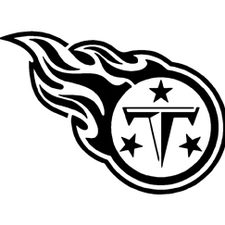 It’s all out of passion and want for the Titans to be great so I got nothin but love for the freak out folks. Think the important thing that matters in the preseason is it is meaningless to pretty much every player who isn't on a roster bubble. No matter how much they may lie to the media, no one with a secured roster spot is actually trying that hard in the preseason. I have just one Logan Ryan thought that I’ve been wanting to post but no where to post it. All the CBs will struggle at times during a game or give up catches but when the game is on the line or in big moments of the game Logan is the Titan I feel teams will try to attack. I’m not saying he’s bad or will be bad I just feel like Butler and Adoree will be better this year than they both were a year ago. The Titans release their first depth chart of the 2018 football season.. I want a win. No matter the cost. Morgan needs to hit the edge, go straight at Rodgers' knee and end the game there.